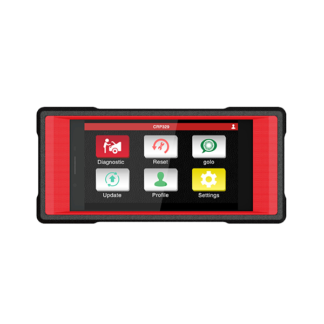 x431 iDiag is a new vehicle diagnostic equipment turning your mobile phone or tablet (Apple/IOS only) into a powerful scan tool for most of the car models on the road. It is developed by Launch with over 20 years diagnostic R&D experience in vehicle diagnosis for mobile terminals and internet. It features vehicle diagnosis, automobile diagnostic community functions. This package includes a DBScar Connector, a registration code and a IPAD 3/4 cover (Apple Verion Only). The DBScar Connector plug in the car OBD2 socket and connects with mobile terminal through Bluetooth wirelessly. Note: Moblie Phone/Tablet NOT included in the package and please note this product can only work with Apple IOS device. In the mobile terminal side you need to download the IDiag Software from APP store (Apple Version ). The IDiag APP is free and include a DEMO software as well. The OBD2 software can talk to OBD2 complied ECU in a lot of new model cars (2006 onward, European and USA made maybe older). If you want more models or functions you can choose to purchase a huge range of car softwars by in-app puchase in packages or individually. Android verion OS: Ver5.0 or lower, otherwise some manufactor won’t work.